“What you have to understand, John, is that sometimes there are forces and events too big, too powerful, with so much at stake for other people or institutions, that you cannot do anything about them, no matter how evil or wrong they are and no matter how dedicated or sincere you are or how much evidence you have. This is simply one of the hard facts of life you have to face.” - Former CIA director William Colby giving advice to his friend senator John DeCamp, urging to quit his investigations into the Franklin child abuse affair and to write a book about his experiences (The Franklin Coverup, 2nd edition, foreword). It would seem that the four nuclear scientists massacred by “mysterious gunmen” in the outskirts of Damascus back in 2014 constitute a common occurrence that nobody notices in the middle of a warzone, but it turns out that certain political forces in the West have no more respect to the lives of their own creme-de-la-creme of the scientific and journalist worlds. When Fox news producer Martin Burns inexplicably fell off a cliff in August of 2013, the shock waves through the legal reform community were palpable. Burns had been deeply involved in the production of a Fox 11 (Los Angeles) news series, Lost in the System, exposing corruption in Los Angeles Family Court proceedings. Malinda Sherwyn does not believe that Martin Burns had a simple accident. According to Sherwyn, Fox dropped the series in panic and some of the evidence she was sending Burns never aired. However, multiple episodes did make it onto the news program prior to Burns’ death. Gina Silva did not respond to calls from this reporter. According to the legend of Icarus, who constructed wings to flee airborne from Crete, his father Daedalus warned him of hubris—extreme pride and self-confidence—and warned him not to fly too close to the sun. Icarus ignored his father’s advice and plunged into the ocean. The Icarus legend is seen to have metaphorical implications for those who may get too close to sources of power. 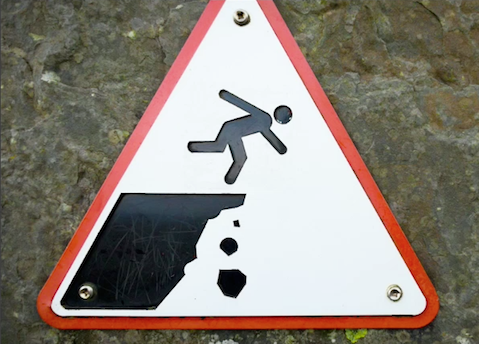 Falling from high places seems to be an end state plaguing a number of former researchers. When John F. Kennedy Jr.’s plane crashed in 1999, many felt the Kennedy curse was again activated. Some, however, saw a more insidious hand at play. Although Kennedy had repeatedly stated that he was not interested in a career in politics, just prior to his death, Kennedy was considered to be a frontrunner for the New York Senate seat vacated by Daniel Moynihan.There were subsequently persistent rumors that Kennedy had planned to use the platform of his magazine, George, to expose who was behind the assassination of his father, President John F.Kennedy. Far less famous individuals have also fallen to their deaths in circumstances that could only be considered suspicious. In 2004, when Dr. Geetha Angara’s body was found in a water tank at her workplace in New Jersey water treatment plant, her husband demanded a thorough police investigation. Angara was a chemist who calibrated the drinking water quality in the facility’s tanks. Reportedly, the Department of Homeland Security had recently held seminars at the plant. The police came up empty handed. After ten years, her homicide case may be reopened. Her husband, Jaya Angara, told this reporter he was aware of reports implicating Homeland Security with deliberate water сontamination and that he did not know if his wife had voiced concerns about this. Dr. Don Wiley, a molecular biologist with the Howard Hughes Medical Institute and considered one of the top deadly contagious virus experts in the US, died as a result of massive injuries when he apparently fell from the Hernando de Soto bridge in Memphis, Tennessee in 2001. Wiley was reported to have been deeply involved in projects related to DNA sequencing. Parenthetically, Jose Trias, vice president and general counsel of the Howard Hughes Medical Institute, was murdered along with his wife in their Maryland home in 1994. Trias had reportedly met with a journalist the day before and related his plan to expose HHMI for funding special and black ops research. In 1985, Jonathan Wash, a communications expert who worked for British Telecom’s secret research center in Martlesham Heath, Suffolk, died as a result of a fall from his hotel room in Abidjan, West Africa. Wash had expressed fears that his life was in danger. In 2004, another Brit, Dr. Paul Norman, chief scientist for chemical and biological defence at Porton Down, Wiltshire, died when a Cessna 205 crashed shortly after taking off from Dunkeswell Airfield. More than one individual connected with the Marconi Company have fallen to death. Marconi was involved in the Strategic Defense Initiative, aka “Star Wars.” In August 1986, Vimal Dajibhai, a computer software engineer with Marconi, died after a fall from Clifton Suspension Bridge in Bristol. The police first stated that they found a needle size puncture wound on his buttocks, but later dismissed this as having occurred during the fall. Shani Warren worked for a company called Micro Scope which was taken over by Marconi less than a month after her death. In 1987,Warren reportedly was found drowned in 18 inches of water. It has been reported that Warren gagged herself, tied her feet with rope, then tied her hand behind her back and hobbled to the lake on high heels to drown herself. In 1982,45-year-old Keith Bowden, a computer scientist and professor at Essex University who worked for Marconi on the Strategic Defense Initiative, died when his Land Rover plunged off a bridge into an abandoned railroad yard while he was driving home from a London social function. Robert Greenhalgh was a contracts manager at a Marconi subsidiary when he fell 40 feet from a railway bridge on his way to work on April 10, 1987. The suspicious deaths of other Marconi scientists have raise a bar of concern. Over two dozen scientists involved with Marconi have died under questionable circumstances since 1982. Rodger Lynn Dickey’s death was reported as a suicide, after he allegedly jumped from the Gorge Bridge into the Rio Grande River in 2011. Dickey was a nuclear scientist working on contract with Sandia Laboratories. More recently, in 2014, Martin John Rogers, a tropical disease expert with the National Institute of Health, was found near his wrecked car, which had plummeted down an embankment in Western Maryland. And in 2015, Alberto Behar, a NASA robotics expert at the Jet Propulsion Lab, died when his plane crashed after take-off from Van Nuys Airport in California. It is notable that none of these suspicious deaths have resulted in prosecution. In addition, Martin Burns’ suspicious death is not reported as such by the Committee to Protect Journalists. Neither was the 2004 death of former San Jose Mercury News reporter Gary Webb. The mainstream press dutifully and with a straight face reported that Webb, who died of two gunshot wounds to his head, had committed suicide. In 1996,Webb had gained notoriety (and quite a bit of trouble) following his Mercury News series entitled, Dark Alliance, which implicated the CIA in running drugs in the inner cities of America. According to a source within the FBI, Webb had been looking into claims made by key Inslaw witness and political prisoner Michael Riconosciuto concerning gene weapons at the time he reportedly shot himself twice in the head. In 2013, the year that Burns fell off the cliff in Los Angeles, the Committee to Protect Journalists reported that 33 journalists had been murdered, worldwide. Yet, there are no Western countries listed. CPJ regularly ignores reports and evidence of attacks on first world journalists in perpetuation of the myth of freedom and justice in the First World. A tribute page to Martin Burns has been put up on Facebook.